I travel to be a better entrepreneur, a better friend and a better story teller. Traveling is about going to new places to meet new people, discover new mindsets, and find new norms. Exposing myself to people whose language I don’t speak and whose culture I don’t understand, gives me the opportunity to practice a learning mindset of openness. It teaches me about the world and myself. New environments can test one’s strengths and weaknesses and cultivate creativity and challenge biases. A traveler learns to push through limits and reach new milestones. What do I think of when thinking of travel women? 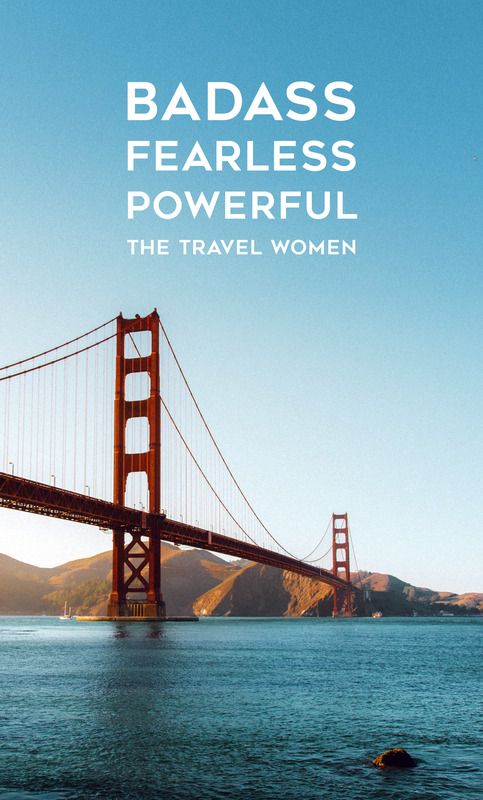 Travel women are badass, fearless and powerful. They are women who learn how to navigate through unknown situations. They know how not to take “no” for an answer and climb walls. They learn how to create their own norms, rules and worlds. I have met many of these powerful women through TravTribe, whose curiosity, courage and empathy is changing communities. For example, Cailtin Ahern’s curiosity for textile and her empathy for local designers led her to create a company; The Thread Caravan, to empower local economies. 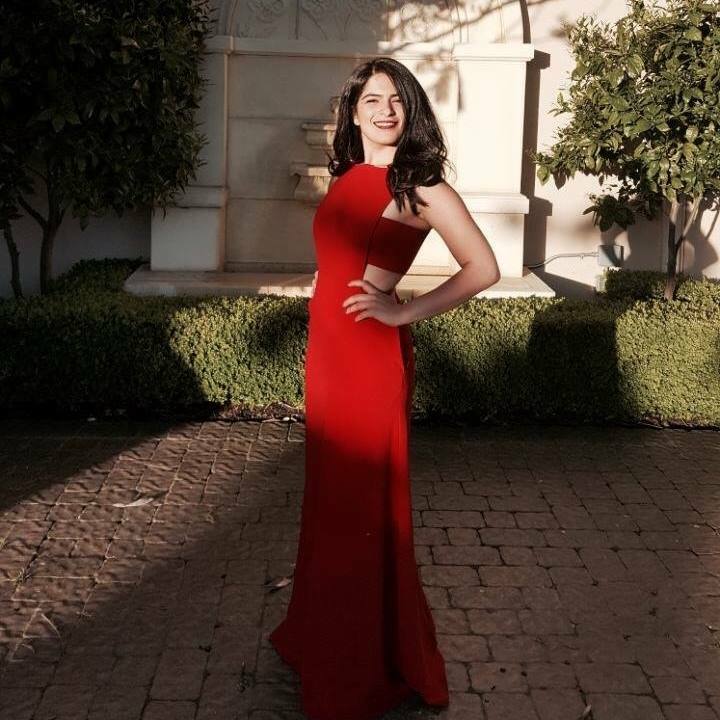 Asya Azar’s experience of working with leaders and her nomadic spirit led her to build her company; Caravan, to empower entrepreneurship through travel. Women’s empathy and curiosity turns them into storytellers, who genuinely understand and crave cultures. I remember Celinne Da Costa telling me how she started traveling with a curiosity of trying out a social experiment: to circumnavigate the globe by couchsurfing, without ever using the website. She saw 17 countries and stayed with 73 hosts. Today, she is a story teller and brand strategist that helps leaders with their personal branding. Read her interview here. I have to say that although such experiences are equally enriching for women and men, travel’s influence in empowering women is bold. It acts like a catalyzer. After only one solo travel experience, women recognize their limitless possibilities, independence and start to lean into their strengths like never before. Traveling to Oaxaca in Mexico was my favorite experience so far. It was the first trip that I took without any research and any expectations. I was open to anything that came my way and I was pleasantly surprised by every moment of it. Which places do you want to go next? Guatemala. I co-founded TravTribe to help digital nomads worry less and travel more. We solve the inevitable problems of a location independent lifestyle. So as the problem solver, I am on a mission to learn about every pain and problems of my tribe by living the lifestyle. I moved from San Francisco to New York City two months ago to learn about the problems of temporary stay in a big city. Next, I will do a similar move to Los Angeles for a few months. Then I will extend my way to Central America to Guatemala. I was 20 when I started road tripping in Iran. In my early twenties, I traveled as a tourist around Europe. Tourists are different than travelers because they plan everything! At 26, I immigrated to the United States alone, which was the beginning of realizing how capable I can be. Since then I took as many trips as I could. After only a few months, I discovered that I am not a traveler nor a tourist, but a nomad. Traveling is a way of life for me. Since then, I have been moving around constantly. It’s not only about taking short trips here and there, but not to choose a “home base” and finding home anywhere that my entrepreneurial journey takes me. I like traveling solo or with other nomadic travelers. Traveling solo provides opportunities to meet new friends. Traveling with other nomads makes it even easier to connect with like-minded nomadic travelers. I am excited about the future for nomadic travelers as amazing founders enable digital nomads to find each other and travel together. Such as The Travel Women’s future plans in bringing nomadic women together, or Wifi tribe and nomad cruise that make it easy to find like-minded travelers. TravTribe also supports these initiatives through it’s “tribe channel” and partners with nomadic organizations to bring digital nomads together. Why do you enjoy writing/photographing about travel? Every nomadic traveler sees the world inside out and has the opportunity to turn the world inside out through their photos and stories. I mostly enjoy curating those stories from travelers and sharing them with my community. Every perspective and story helps me have a deeper experience and understanding for my own journey. If it helps me dream bigger, it may help someone else dream bigger, too. What is my favorite souvenir? I try to take unique photos that share the story of a friend I met on a trip. I print it as a post card and send it to the friend later. Tell us more about TravTribe? TravTribe is a messaging bot for digital nomads. It has five channels and each channel solves a unique problem for TravTribers. Users can choose to register for any of the five channels. As an example, “Gig channel” shares paid gigs and location independent freelancing opportunities. The “Media Channel” introduces Instagrammers to media agencies for creative gigs. We built TravTribe as a messaging solution, because we wanted to minimize the time a nomad spends on the computer sending cold emails. Now they can spend their travel time curating experiences and sharing them through paid gigs that are offered through our channels. Nomadic travelers are citizen diplomats because of their constant mobility and openness to different cultures. Our goal is to use technology and provide a platform to voice their stories and scale global citizen mindset. Tell us more about the TravTribe book? We are publishing a book for digital nomads in the beginning of 2018. The book shares how traveling changed the lives of 25 inspiring globetrotters. It also shares 30 hacks and tips that any reader can use to create a location independent business and become a digital nomad. Travel’s beauty is about the unbelievable corners of the world that nomads get to discover. Every page of this coffee table book features a travel photo of these globe-trotters to inspire our readers to step out of their comfort zone and seek a new experience. The nomad book not only inspires traveling, it also provides solutions to travel such as ways to make money while traveling or get collaborate with hotels around the world. This book is a great resource for travel lovers that are looking for ways to start a location-independent life. What is your favorite thing about being nomadic? My favorite thing about being nomadic is the pleasure of taking a wrong turn in the city and surprising myself with the serendipity of a new story. First try to understand whether a nomadic life is your style. Take a trip with digital nomad tours to meet like-minded travelers and learn about their lifestyle. Follow digital nomads on Instagram such as @thetravelwomen. Don’t hesitate to reach out to them and ask questions on how they started. Nomads love connecting with like minded travelers and like sharing their experiences. Many experienced nomads even seek to mentor beginner nomads in adopting the lifestyle. TravTribe’s “tribe channel” is a resource for finding digital nomad mentors. Other resources such as Digital Nomad Accelerator or Influencer Inc provide tools to enable location independent life. Shar is CEO at TravTribe, follow her on Instagram and LinkedIn. Have you thought about becoming a digital nomad too, did this interview inspire you? Comment below!